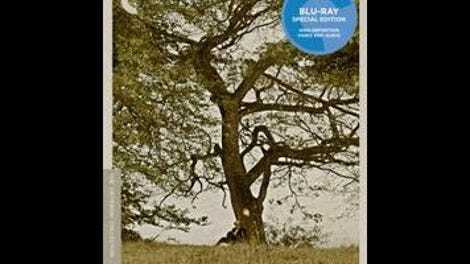 Discussions of the longest films ever made never mention Jan Troell’s The Emigrants and The New Land, because they’re technically two separate works, released a year apart in 1971 and 1972. Their combined running time is a hefty six hours and 33 minutes, however, and they play very much like a single epic, with the opening scene of A New Land picking up right where the final scene of The Emigrants leaves off. Recognizing this, Criterion has chosen to release them as a unit, encouraging back-to-back viewing. There’s precedent for this approach—the six-hour Italian mini-series The Best Of Youth, for example, was released in the U.S. as a two-part movie, which many viewers watched in its entirety over one day—but it benefits Troell’s diptych particularly well. Telling the story (adapted from a cycle of four novels by Vilhelm Moberg) of a 19th-century Swedish family’s journey to start a new life in America, the two films are split neatly into before/en route and after, but the former really requires the latter to feel fully satisfying. Not that people felt that way at the time, mind you. The Emigrants was not only nominated for the Oscar for Best Foreign-Language Film, it was also, remarkably, nominated for Best Picture (the following year, due to different eligibility rules for the two categories), losing to fellow immigrant saga The Godfather. It introduces—and re-introduces, and then introduces some more—the Nilsson family: farmer Karl Oskar (Max Von Sydow); his wife Kristina (Liv Ullmann); his younger brother, Robert (Eddie Axberg); and Kristina’s uncle, Danjel (Allan Edwall), among others. Nearly half of The Emigrant’s three-plus hours is devoted to explaining why the Nilssons decide to move from Sweden to North America, which feels like overkill; there are only so many compelling variations on “the soil here isn’t great” and “religious intolerance is a drag,” and they don’t collectively add up to an entire normal-sized movie of 90 minutes or so. The story picks up steam once the group finally gets on the road, however, enduring a grueling passage across the Atlantic during which lice infestation proves to be the least of anyone’s worries. The Emigrants concludes at the moment when Karl Oskar picks out the spot in Minnesota, on the shore of Lake Superior, where he’ll build the family’s new home. The New Land then observes the Nilssons as they struggle to find a place in a country where they don’t know the customs or speak the language, with their feelings of isolation exacerbated by their farm’s location in what was then the middle of nowhere. Troell’s sequel wasn’t quite as acclaimed in the U.S. as the original had been—no Best Picture nomination, and it had the bad luck to be up against one of the greatest films of all time, Luis Buñuel’s The Discreet Charm Of The Bourgeoisie, for the Foreign-Language Film Oscar—but it’s the stronger of the two, if only by virtue of not squandering half of its running time on exposition. It also features some of Troell’s most powerful pure filmmaking, as he cuts back and forth between Robert succumbing to yellow fever in Sweden and flashbacks of his efforts to reach California with his best friend, Arvid (Pierre Lindstedt), so they could join the Gold Rush. Much of this material, which echoes the grim desert scenes from Erich Von Stroheim’s Greed, is dialogue-free, accompanied by an anxious percussive score; it functions as a magnificent mini-film of its own—an “episode,” if you will. Because both The Emigrants and The New Land include an intermission at roughly the midpoint, it’s easy to treat them as a four-part series, even though they were expressly conceived as two mammoth films. And while their leisurely, measured pace and bucolic landscape photography aren’t exactly what one thinks of in relation to binge-watching, the saga’s steady accumulation of power arguably works best if you take only a few short breaks along the way. The early scenes set in Sweden, in particular, feel less like wheel-spinning when they serve as the first chapter of several, rather than as a half of a movie that’s taking way too long to get to the inciting incident. And it becomes correspondingly easier to focus on the characters rather than their destination, especially with titans like Von Sydow and Ullmann front and center. At this point, the pair had already played a couple three times for Ingmar Bergman (in Hour Of The Wolf, Shame, and The Passion Of Anna), and were effortlessly in sync; their dynamic here is more tender and less tempestuous, but equally moving.